Providing the perfect escape for anyone who enjoys nature and relaxing breaks away,Â Thornside CottageÂ sits next to The Wheel Inn, aÂ quiet country pub with just a handful of neighbours. Our luxury 4-star detached holiday cottage is situated in the peaceful rural village location of Welton le Marsh and has 1 cosy bedroom with ensuite bathroom and 1 lounge sofa bed that sleeps up to 2 people.Â The kitchen is well-equipped with an electric oven and hob, microwave, fridge,Â kettle and washing machine to use at your leisure.Â We also provide free WiFi and a colour TV with DVD player. Whilst here, perhaps go for a gentle stroll around the local village, a beach walkÂ at Chapel St Leonards – 5 miles away or simply snuggle up on our cosy sofa with a book or watch TV. You could also try out some of the local cuisine at one of the traditional local eateries in the next village over at Burgh-le-Marsh. Whether you choose a luxury weekend break or a short midweek stay, you will look over our beautiful country pubÂ which serves delicious home cooked food and refreshing beer and ales. Or if you decide to, sit out on the patio area with a bottle of wine or take stroll around the orchard. 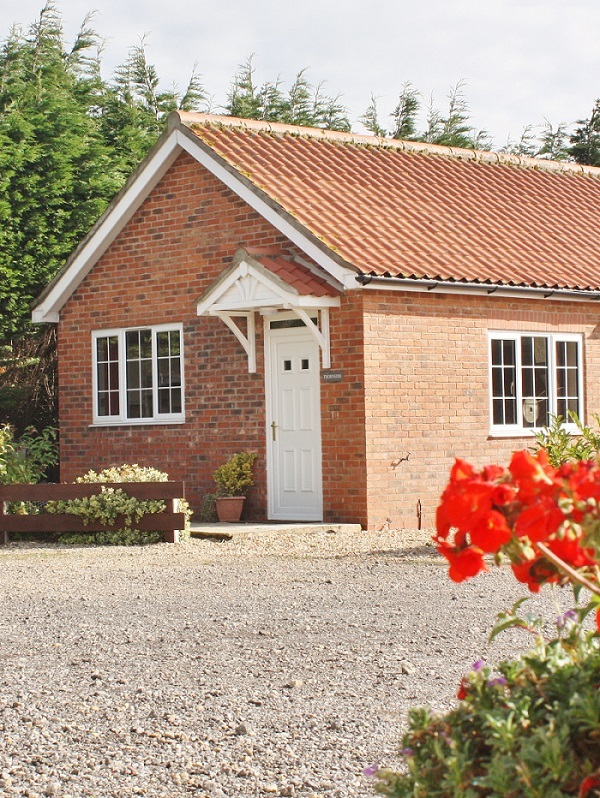 We are located in a peaceful rural village in the Lincolnshire Wolds. We look forward to welcoming you!